First insert the supporting poles into the hole, then extend the swimming pool, fill up with water after connecting the drain pipe.Pour the water into pool to 60 - 80%. Water temperature: 36 - 38 degree Celsius. When filling up the pool with water, first fill with cold water, and evenly mix in order to keep the water temperature consistent up and down. 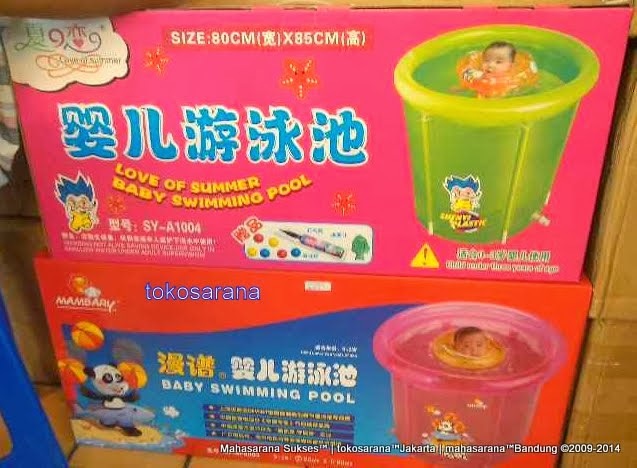 The water depth of the swimming pool to be filled with water must comply with the criteria that the baby's soles do not touch the bottom of the pool when swimming. A baby swims 10 - 20 minutes each time are proper. After using, when it is dry, keep it from strong.